Everyone on the road is at risk for a collision. Even the most skilled and careful drivers are susceptible to objective dangers and other motorists who might not be as careful. The vast majority of accidents happen at relatively low speeds and vehicles don’t appear to be significantly damaged. After everyone is safely accounted for and information is exchanged there is always an awkward decision: should I drive my car home, or have it towed? Certain types of damage could cause a vehicle to become even further damaged if they try to drive off or could even pose a safety hazard. Here are a few tips to help you decide what to do with your vehicle after an accident. After an accident, walk around your vehicle and give it a thorough visual inspection. Check that no body panels or mechanical components are loose or hanging off the car. Driving off with these types of issues could lead to bigger repair bills, or could impair your handling and endanger you and other motorists. Strange noises, leaking fluids, and smoke are all indications of mechanical issues. In some cases, these symptoms do not represent immediate danger, but they usually do. If you notice any of these, it is best practice to avoid disaster and call for a tow. After an accident, it can be hard to think straight. “Did my car always make that noise, or is it new? Do I smell gasoline or am I being paranoid?” It can be incredibly difficult to accurately asses the state of your vehicle immediately after a crash. If you don’t have immediate access to a mechanic’s nose, ears, and experience, the safest choice is usually the best. 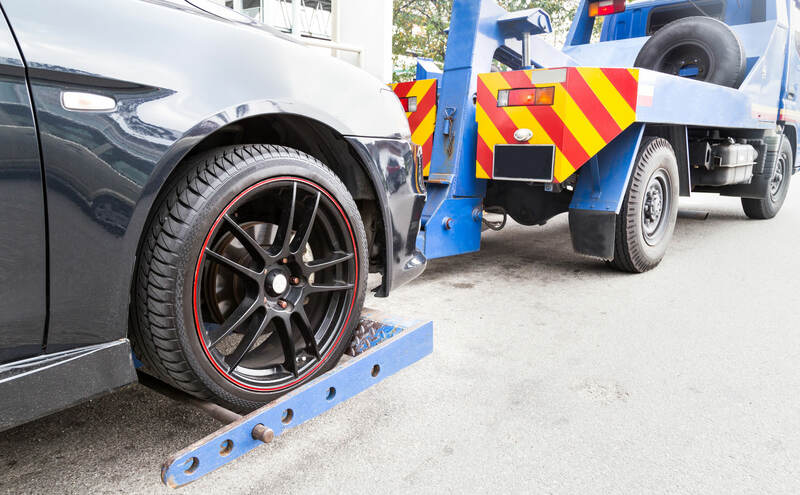 Calling a tow truck represents a known fixed cost, while deciding to drive a questionable vehicle could lead to larger unnecessary repair bills or even another accident. It’s never wrong to call for a tow. Were you recently in an accident? Or were you in one a while ago? If you think there might be some lingering damage, don’t hesitate to call us for an inspection. We can go over your vehicle to make sure it is safe for you and our family. Give us a shout any time.